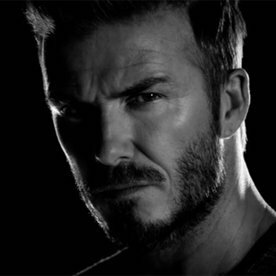 Former Manchester United star David Beckham has fancied England to make the finals of the World Cup alongside Argentina. The Three Lions opened their points tally for the tournament with a last-gasp victory over Tunisia and Beckham is now fancying them to make the final in Moscow though they have difficult challenges ahead. The Three Lions secured a close 2-1 win over Tunisia in their opening game of the World Cup but they could have quite easily scored twice the amount of goals, had a couple of refereeing decisions gone their way. Nevertheless, Gareth Southgate’s side have picked up a victory unlike the previous World Cup and they are now favourites to reach the round of 16 with games against Panama and Belgium to come. Nevertheless, the Three Lions need to avoid any complacency during the next set of games with some of the top nations at the tournament having struggled in the initial part of the campaign. Argentina, who Beckham has picked to reach the World Cup final, are one of those who have struggled after the first two group stage games and the South American nation could be ousted from the tournament unless they picked up a victory over Nigeria. Argentina have a good World Cup record against Nigeria having won each of their previous five meetings but their recent defensive statistics remain a worry ahead of the clash at the Saint Petersburg Stadium.